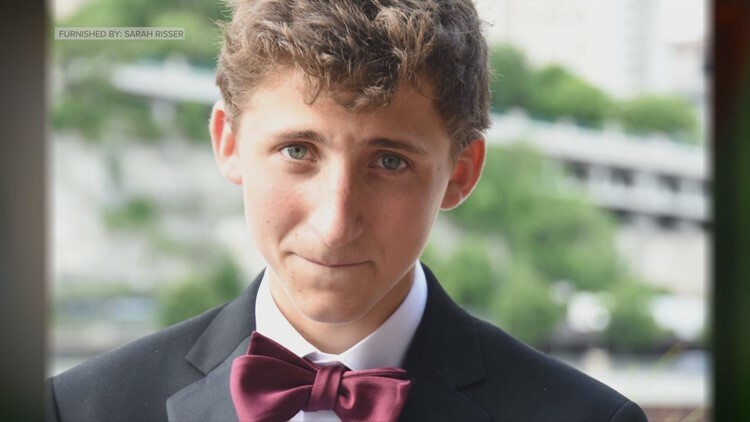 ST PAUL, Minn. — A St. Paul family is celebrating the life of a beloved son while opening up about their heartbreak in losing him. 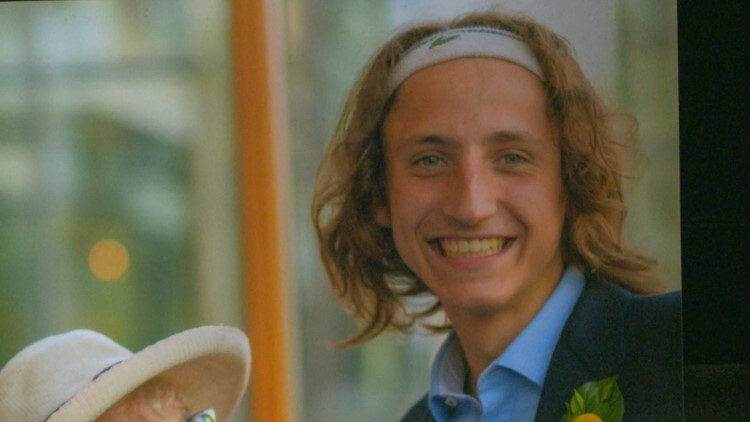 Their son, 18-year-old Henry Zietlow, perished in a crash in Wisconsin earlier this week as he and his mother Sarah Risser drove towards Ironwood, Michigan on a ski getaway. Sara was in the passenger seat, mere inches from Henry when they were struck by an oncoming pickup the had crossed the center line just southwest of Hayward Monday. Sarah waited for paramedics to arrive as her son's life slipped away. Somehow, she and her husband Nathan Zietlow gathered the strength to sit down with KARE 11 just days after the crash to both laugh and cry, and talk about the lessons Henry taught them in his brief but spectacular 18 years on earth. Henry Zietlow excelled at violin, rowing, and anything outdoors, but his parents say his magic was in the way he viewed the world, and his refusal to judge others. "Every parent thinks they're child is really special, but I know I'm right. His music, his violin playing, his rowing, he loved the sport of rowing. He excelled at everything he did," Sarah shared. "(I) learned a lot from him." Henry amazed his parents with his skills in violin, competitive rowing and math. He thrived in the great outdoors, canoeing, hiking and camping. The natural world fascinated him, especially anything involving the Mississippi River. But mostly, they will remember the way he looked at life. "He would always think the best of people and I think that's what I want to carry with me," Sarah said. Sarah suffered a broken wrist and some cracked ribs, but was able to walk away from the wreck. Troopers say the young pickup driver likely hit a patch of ice and lost control. He too was rushed to the hospital, and subsequently learned of Henry's death. The young man was distraught and asked Nathan and Sarah if he could attend Henry's memorial service. They hesitated... then thought about what their son would say. The young driver who crossed the center line and struck Henry's vehicle asked his parents if he could come to their son's memorial service. They said yes, knowing Henry wouldn't want them to blame or hold grudges. "It's okay if he wants to come if that helps him in any way deal with whatever he's dealing with, he should do that and that's what Henry would have said," Nathan said. Henry wasn't about judging others, blaming or holding grudges. He would want his parents and sister Nina not to hold on to anger, but to cherish the good times, and revel in the people and adventures that make life worth living. "Just live every day to its fullest," Sarah said. "And not only because I think Henry would have done that, but because life is full of surprises, you don't know how much time you have." "Such a beautiful person," Nathan shared, before breaking down in sobs. "I don't know what we're going to do without him." That doesn't mean there isn't pain, deep grief that will remain near the surface forever. "Such a beautiful person," Nathan shared, before breaking down in sobs. "I don't know what we're going to do without him." Sarah, Nathan and Nina will host a funeral service this Sunday at Macalester Plymouth United Church. Bowdoin College, where Henry was a freshman, will also hold a special service for Henry when students return from holiday break.